Being an absolute hoarder of makeup brushes, it was odd to me that I hadn’t jumped on the oval brush trend with it being quite big for the last six months in the blogging world, so it only seemed right that I eventually tried them out for myself, to see what all of the fuss was about. I thought it made sense to share my first impressions on these brushes, as i’ve been loving them! 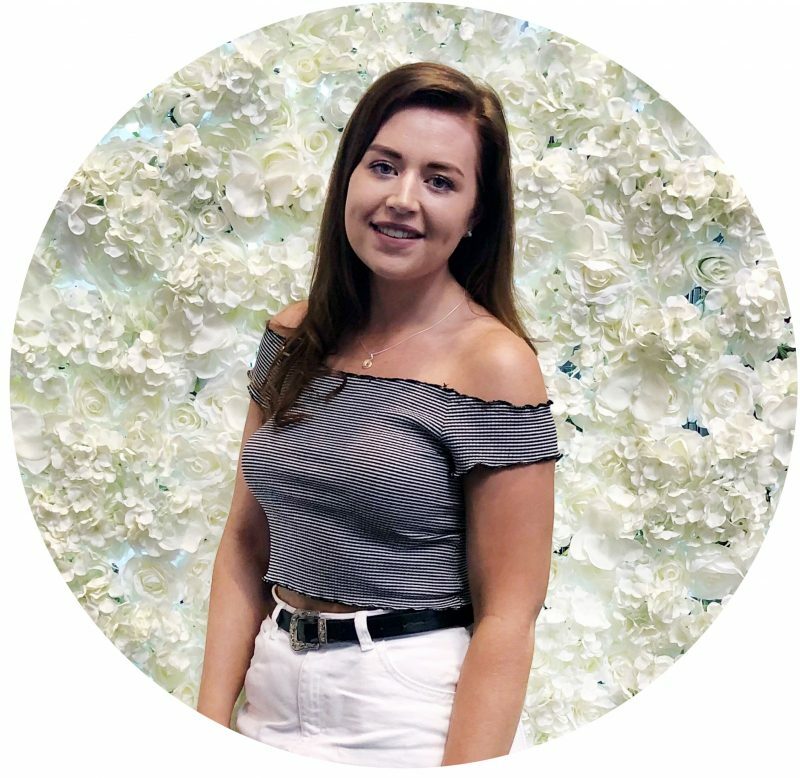 A brand I have worked with a fair bit this year is Zaful, which is an online fashion shop but they also sell a small selection of beauty products, so when I spotted that they had a few sets of oval makeup brushes I was intrigued to see what they were all about, and whether i’d like them! For a few weeks now i’ve been trying this Rose Gold Oval Makeup Brush Set* (£12.04), of which I instantly knew i’d like just because of the rose gold accents to it, as i’m a sucker for anything rose gold just like the basic blogger that I am. This set comes with six different brushes, all of which are different sizes and shapes, and are all designed to be used for different aspects of applying makeup, which is great as they offer a wide range of versatility. I’ve been mainly using the larger round shaped brush for buffing in my foundation, and I absolutely love it as it buffs in within seconds, leaving my foundation looking seamless and blended. It’s also great for blending down into your neck, which I often find to be a nightmare as I often end up getting foundation on whatever top i’m wearing. For cream contouring i’ve been using the more medium sized oval brush, which works amazingly especially as i’m an absolute contour noob but I try my best. Finally, the smaller brushes i’ve been finding difficult to figure out what to use them for but I find the thin tear drop shape brush to be really good to use for highlight. Overall i’m really impressed with these brushes so far, as they are so soft and work amazingly to make my makeup look flawless when i’m in a rush in the mornings. Although it is still early days i’d still definitely recommend trying out a cheaper set if you too are wanting to see what these brushes are all about, as they aren’t going to break the bank and there a few affordable options out there. 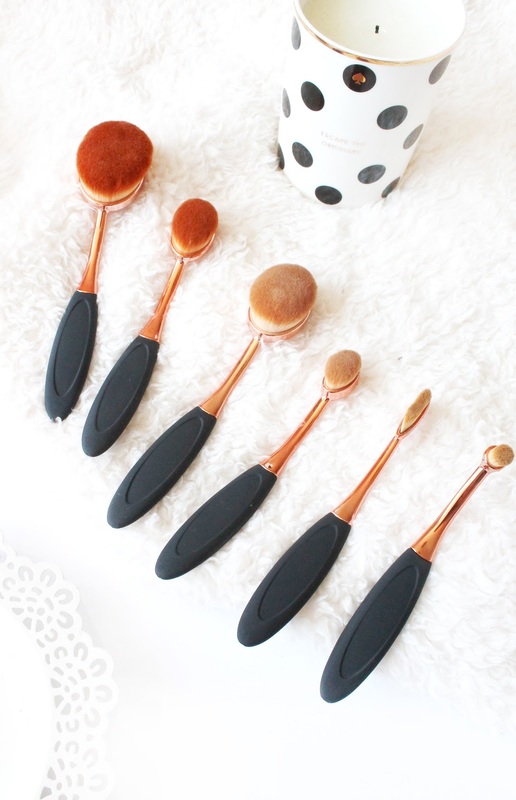 Have you jumped on the oval brush trend?